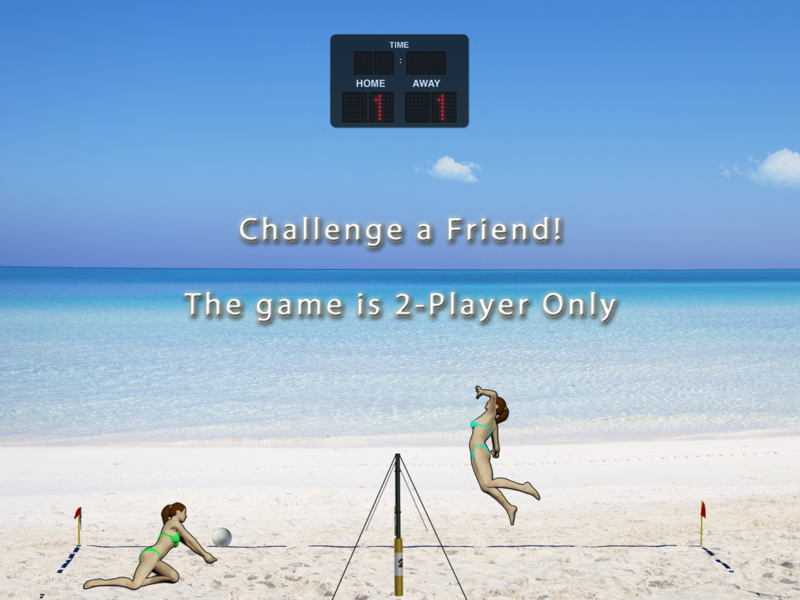 In Volleyball To Go, pick your side and challenge a friend to a game of beach volleyball! Use your finger to direct a volleyball player to return the ball in a heated match against your human opponent. Your finger controls pre-set motions, which gives the game an arcade style feeling. Soak in the sun and the fun music and enjoy a game today! This app is meant for 2-Players on the device and does not have a single player mode. 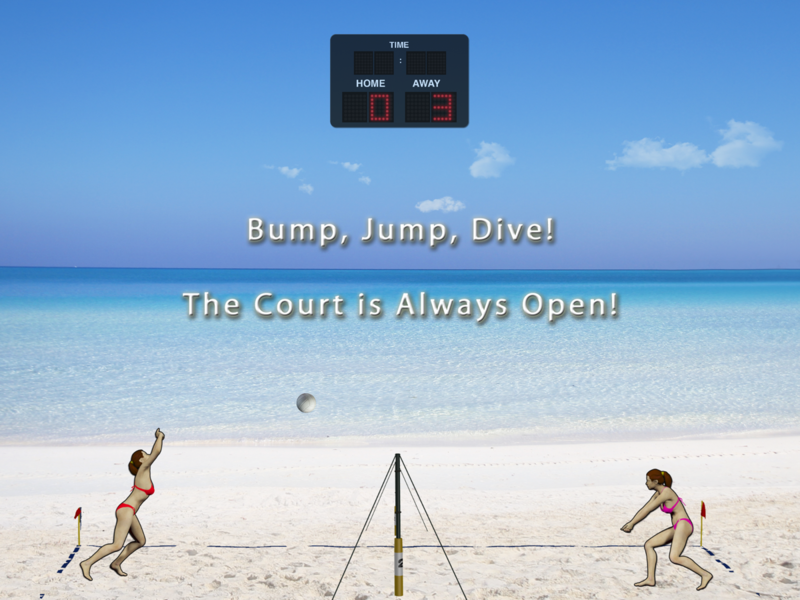 - Fun simulation of a beach volleyball game including a sunny beach background with gently moving clouds in the sky. - Pick your side of the net. The colours of the swimsuits of the volleyball players are randomized. - Use your finger to move your volleyball player around your side of the net. 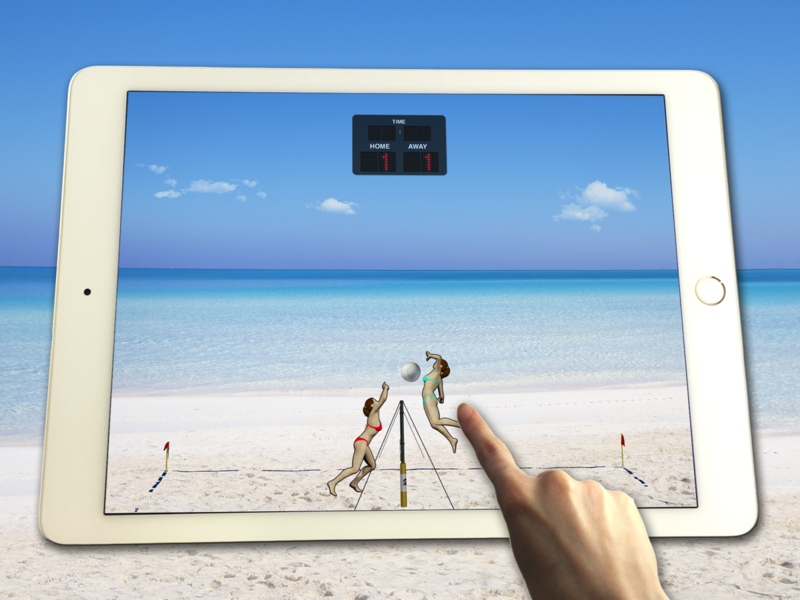 - Tap around the player to move them into one of four pre-set motions to return the ball. - Pre-set motions include a jump, a dive, a high block and a bump. - Grab a friend and play against a human player. - Enjoy the spirited music, which creates a fun atmosphere. - No matter the weather or the time, get ready to play!